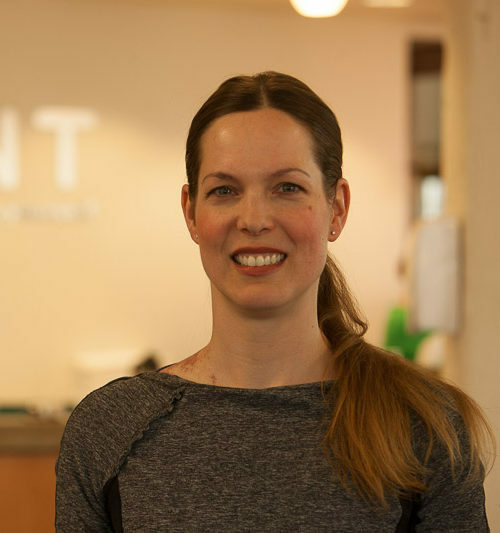 Timea Presley is a Washington DC based Pilates Teacher Trainer and Advanced Level Instructor (STOTT) with more than 17 years experience teaching and managing Pilates programs and studios across Europe and the US. She specializes in post rehabilitation conditioning and Pilates for former dancers. Her extensive experience with Pilates, dance and yoga creates a dynamicly flowing style with attention to balance between strength and flexibility. Timea leads her Comprehensive 500 hour Teacher Training Program that is included in the Pilates Method Alliance (PMA) registry of schools. She is also a fully certified advanced level STOTT Pilates Instructor, Post Rehabilitation Conditioning Specialist, Yoga Teacher in the Shivananda tradition and Barre Instructor. She has taught more than 20,000 hours of private and group classes in the studio environment, luxury health clubs, dance schools and corporate facilities. Timea studied at the Budapest Contemporary Dance Academy, Dance Academie Balance 1 Berlin and Freie Universität Berlin. As a professional Modern and Contemporary Dancer her physical training included amongst others Ballet, Pilates, Jazz, Improvisation, Contact Improvisation, Graham Technic, Cunningham Technic, Limon Technic, Folklore Dance, Tai Chi, Qi Gong, Gyrotonic, Gyrokinsesis and Alexander Technic. Timea’s involvement in managing studios and Pilates programs started with founding and operating her own Soma Pilates Studio in Berlin. After her move to the US she has held roles as Studio Direktor at DC Yoga, Pilates Studio & Program Director, Head Pilates Instructor and Mind Body Program Director at MINT Health Club & Studio in DC. Timea taught as guest faculty at the Washington School of Ballet and has been guest teacher at the Smithsonian, World Bank, IMF, FBI, government organizations, health clubs, studios and conferences. Timea’s training through STOTT Pilates has included courses such as Pilates programming for managing osteoporosis and scoliosis, breast cancer rehab, athletic conditioning, stabilization and Function of the knee, Prenatal Pilates on Reformer, Cadillac and Stability Chair, Optimization of the Lumbopelvic Region, Optimization of the Shoulder Complex, Principles of Stabilization, Postural Analysis, The 5 Pilates Basic Principles Explained, Athletic Conditioning on Stability Coushions, Jumpboard Intervals, V2 Max Plus Programming, The Reformer and the Padded Platform Extender. To study the mind body connection and yogic diet Timea lived in a Bhakti Yoga Ashram in Colorado and enjoys incorporating the practices she learned into her daily life in Washington DC.